Potent track protection. With nearly all the race-level safety features of REV’IT!’s flagship Spitfire, the REV’IT! Venom Race Suit packs a punch well above its weight class, presenting a remarkable value to the track day enthusiast. The Venom Race Suit utilizes an identical armor setup to the Spitfire: Dual comp knee sliders and Betac internal CE armor at the elbows, shoulders and knees, and SeeSmart at the hips. The Venom is also prepared for a CE Level 2 SeeSoft Back Protector (sold separately) if you prefer an insert to a standalone track back protector. The Venom is also made of the same quality Monaco performance cowhide as the Spitfire- without the embossed finish. The leather panels are perforated at the sides of the abdomen and upper thigh for airflow at speed. Whether you are just getting into track days or you’ve been off in more suits than you care to count, the REV’IT! 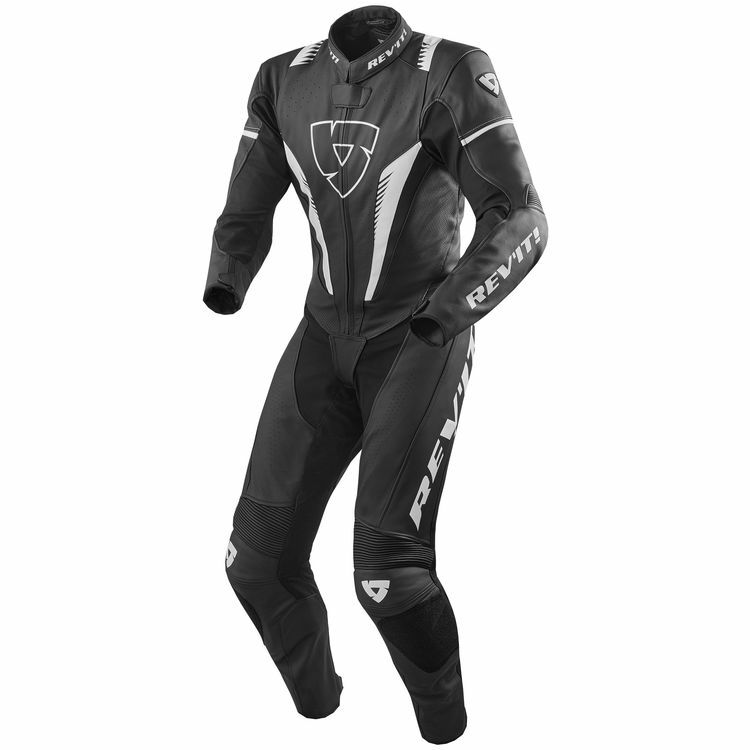 Venom Race Suit offers an incredible level of protection without putting the proverbial hammer to too many piggy banks. Although I did not keep this suit as I ultimately decdided on a 2 piece this will not dissapoint anyone who orders one. The size is about 1/2 bigger than the typical Dainese/A-star which could be a good thing if you are looking for a slightly more relaxed fit. It's not a sport fit though and is still snug where it needs to be. Leather is of great quality as you would expect from any Rev'It product. fit and finish is up there with all the rest. At this price point I feel as though you are getting some great features that are even on suits costing slightly more. Sure there isn't the exterior armor but it is a high quality garnet. As the video suggest the perf isn't as much as some others but I would think it would be more than adequate t speeds in 80 degrees or more. Also, big props to Revit for offering back protectors that aren't $100.00 or more. If you are looking to up your game and get into a suit that can get you on the track this would be a great starting point that doesn't break the bank.